Since prehistoric times, human beings have preferred working, relaxing, and living with each other in groups. In other words, you can say we are wired to be around other people and share our lives with them while being an important part of their lives as well. Modern sociological research supports this notion as well, and having good relationships with people you consider to be your friends is identified as a major contributor to mental well-being and emotional satisfaction. While everyone feels great about having a large group of friends, the truth is that many of our relationships are based on opportunity. 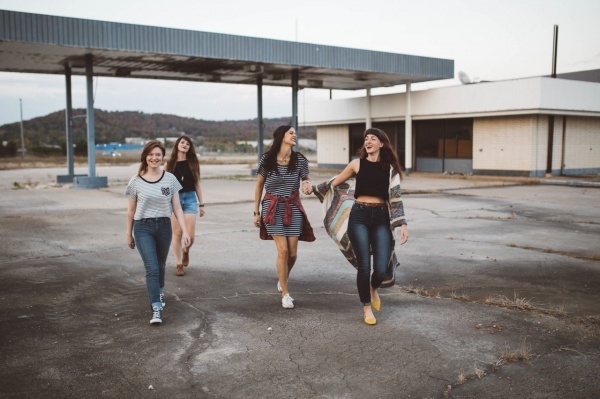 So you could be friends with people you work with every day, a shopkeeper who you see almost every other day, or members of a sports club or other activity that you see nearly every week. With relationships being largely focused on activities or physical proximity, it is possible that your friends do not know a lot about you. Here are ten things your friends may not know about you or you may not know about them. Many people openly admit they do not know what their friends do for a living. Most friends have a general idea of each other’s line of work, but they are actually surprised when they learn the exact details. Now granted, this may not be the case with everyone, but a lot of people have one or more trustworthy friends who know the passwords to their phone, computer, or email just in case of an emergency. So you are a guy who enjoys romantic comedies, or a girl who loves to watch action movies but guess what – most of your friends will not be aware of what TV shows you enjoy. And of course, it does not help that you pretend to love whatever show your entire group is talking about. Now you should be fairly proficient with your cell phone and in using a computer, but there are just some things that no one gets right. Most of your friends would be horrified if they saw you use a computer that slow – this works the other way around too. There is a good reason why your friends do not bring up your exes – they do not know about them (or at least most of them). It is not because you do not trust them. It is because we live in the world where it is best to keep relationships secret. This can either be someone in your group of friends, or a friend of a friend, or even an ex that you just can’t get over. Many people confess that they hide their feelings even from their best friends. When everyone is weighing in on the election, the last thing you want to do is to have attention focused on you – because the last time you understood anything about the government was in fifth grade. We have all been there, waiting desperately for our friends to start liking our photos on Instagram and like our posts on Facebook. Letting them know of this fact though is another story, no matter how flattering it may seem. Now here is something that really stays under the wraps – even your best friend or closest family members do not know everything that is going on with your body. Very few friends will have met your parents and siblings. Even then, they will not know what is going on with your family life. Should they? Many of us keep it secret just to avoid gossips. That is the truth of life. Most of the people we are around today are more acquaintances or casual friends who become our friends by being at the right place at the right time. Still, there are a few friends who have a different kind of connection with you – someone you can rely on, freely express yourself and generally be foolish around. These are the kinds of friends who do know a lot more about your personal life than others. Whether it’s a close friend or someone who is friendly because you see them on a daily basis – every relationship is valuable and must be cherished.